Hey hey, how's it all going? About two wash days ago I had a wash day worth reporting. I had been dealing with a hair problem and in one wash day it was magically sent away. If you wonder what is meant by "listen to your hair", this washday is a case in point. I had been losing hair for weeks. 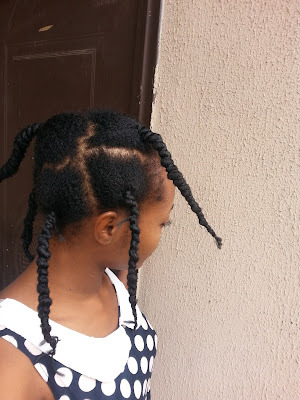 I don't even comb my hair, but for everytime I undid a twist; fluffed out a puff; finger combed my hair, I would lose very significant tufts of hair. My hair was feeling dry so I upped my moisturise & seal game, but carried on having to sweep the floor everytime I touched my hair. At that rate I was sure I would stop retaining length if I didn't fix it. First thing, is it breakage or shedding? Shed hairs have that little white bulb at one end and tend to be longer since they're dropping right from the scalp. I wasn't about to start checking all the individual strands, but from the few I did check, I was dealing with both breakage and shedding. That's listening to your hair. Next, what to do about it. I hadn't done a coffee rinse in so long. There's another way I've used coffee once before that I really liked: a scalp prepoo. I mixed instant coffee with a little water to make a strong brew, then I applied it directly to my scalp in sections. To prepoo my hair I used honey, extra virgin olive oil and palm kernel oil. This dark coloured prepoo mix moisturises and softens my hair. I covered with a plastic cap and let it stay in overnight. When my hair was relaxed it was easy to tell when it needed protein because it would be limp or weak or mushy. I'm still relearning my natutal hair so with time I'll be able to notice the signs. This time the only pointer was breakage not responding to moisture. I used a Homemade masque on top of my prepoo. 2 Bananas, blended and sieved. I had stuff to do at home so I didn't rinse out until after about three hours. The plan was to cowash for maximum moisture, but since I had so much food in my hair, I took my shampoo into the shower just in case. I rinsed thoroughly, then cowashed with Shea Moisture Superfruit conditioner. Everything was on point. No tangles; I was running through freely. No need for shampoo; the conditioner got out everything. 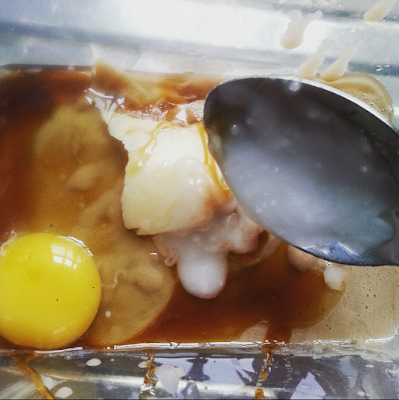 Hair felt strong cos of the protein, but very hydrated too, and best of all, no hair was falling off my head. The breakage and shedding were reduced to the bare minimum and have remained that way since that wash day two weeks ago. 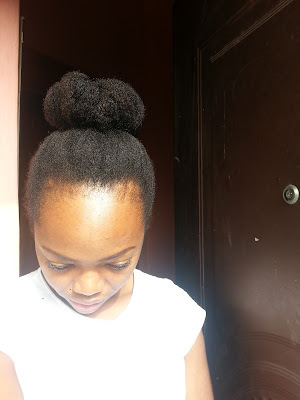 I used ny cocoa butter creme to seal my damp, soft hair. Threaded to stretch my kinks. I've noticed that since my big chop, my hair has been on a mad growth spurt. I'm six months post big chop and there's more remarkable growth than the 19 months of my transition. I'll try and scrunch up comparison photos to share. 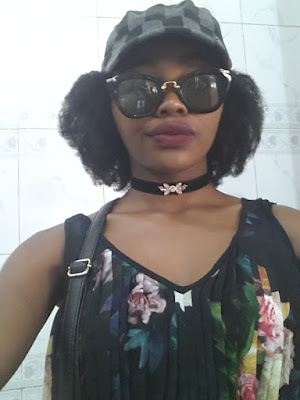 Who else is enjoying the harmattan and how it doesn't mess with your styles like humidity does?? I basically let my stretched hair hang out for days with little reversion. I was going to put in a protective style because of the dry weather, but I'm enjoying styling too much. What are you doing with your hair lately? 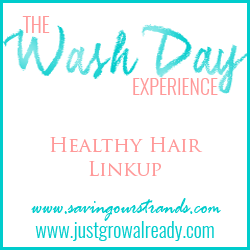 The wash day Experience is here. Sorry about that. I have a similar experience when I use avocado. My hair takes it way harder than egg protein. I haven't used it since I've been natural because I just dont need that amount of protein. I washed my hair yesterday and almost wept when I saw the huge ball of hair I had lost. I'm def going to try this. Love your bun. Sorry dear, hair loss can be painful. Try and please share how it goes. I want to know. You just peel the bananas and put them in the blender with some liquid to ease blending and to help it pass through the seive. You can use a little water, aloe vera juice, I used peppermint tea once. 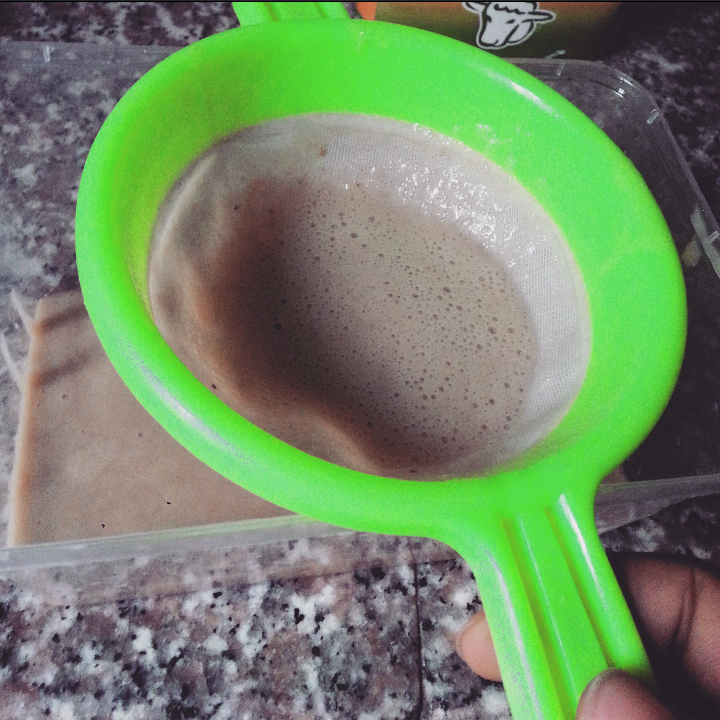 Blend till it's smooth and then pass it through a mesh strainer like in the picture. Voila- a smooth, lump-free masque you can add other goodies to. Wow! Sandra, I am so trying it this weekend. Please you need to hook me up on where you got your original coconut oil. My favourite brand of coconut oil is Parachute. I get it at Spar but it's not always available so I buy 2 big bottles or 1 big and 2 small when it is. Woot! For no breakage and shedding! Protein always does the trick for me too! Protein usually gets my hair together. 😁 You're not the first person that has mentioned a growth spurt after cutting the relaxed hair off. I'm still trying to make it to at least 18 months for my transition. This post is God sent. My hair has been breaking and shedding since I took down my twists, I've tried tea rinse; nothing. Hopefully this works although I have to remove coconut oil when I try it, I've been reacting to coconut oil for reasons unknown to me. I've been hearing about coconut oil and people reacting to it. Pele. Such betrayal. Hello, am definitely going to try this. 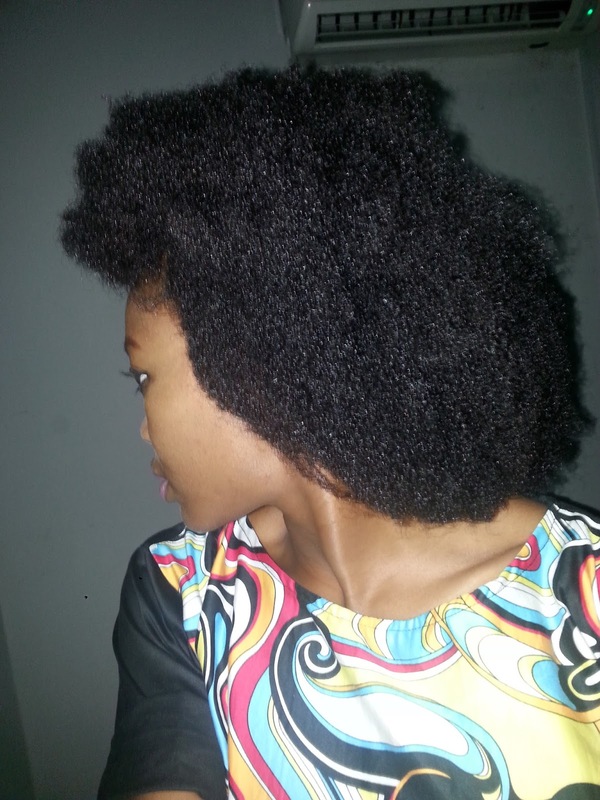 Am trying to go natural hair but I Dnt want to cut my hair. 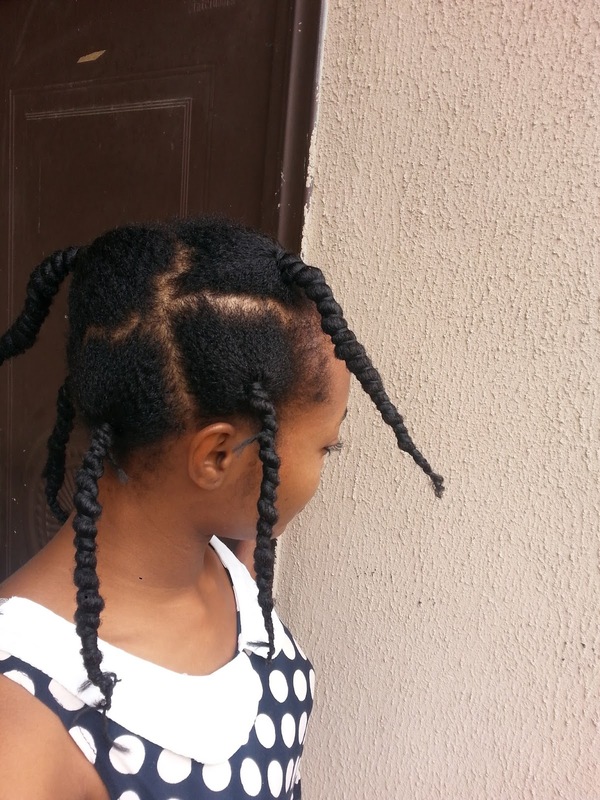 How did u maintain the relaxed and natural hair pls?